The new rig will enable us to complete more complex investigatory works, having been designed specifically for site investigation and environmental analysis. 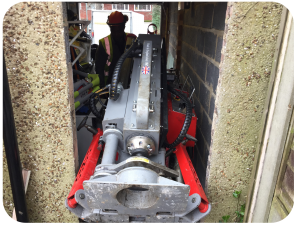 The rig has an ultra-small footprint and crawler mounted design to enable the user to carry out various sampling methods in confined spaces where access is limited. The staff here at STM are all excited to begin using the new kit, which has already been utilized on some of our more recent site investigations.